House of Cards is a thrilling political drama that follows South Carolina Congressman Frank Underwood (Kevin Spacey) and his wife Claire (Robin Wright). The television show, created by Beau Willimon, premiered Feb. 1, 2013 as a Netflix original. The show follows Underwood’s political aspirations and the steps he takes to gain political power in the federal government. In order to do this, he engages in corruption and commits other crimes while covering up countless scandals. A main theme is the length people go to in order to achieve power and success. Viewers watch as Underwood climbs to higher positions and greater success while mercilessly taking down those who get in his way. House of Cards is filled with political drama and controversy, with scandals that are thrilling to watch while it also shows a glimpse of how the U.S. government works. Viewers should remember that the show is a dramatic portrayal of elected officials and their jobs, and while parts of the show are accurate, there are more aspects of the show that are not realistic. The show received numerous awards and nominations for its first two seasons, including three Emmys: Outstanding Directing for a Drama Series, Outstanding Casting for a Drama Series and Outstanding Cinematography for a Single-Camera Series. The third season of House of Cards will be released on Netflix on Feb. 27 in its entirety. This will allow viewers to binge-watch the season or space it out over a longer period of time. The first two seasons of the show are also available on Netflix for those looking to start the series, which is available to watch at any time. 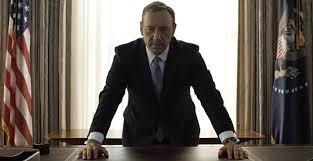 House of Cards deserves four out of five stars for its exciting storyline and incredible acting. This show keeps viewers glued to their seats for hours. This entry was posted in Entertainment, Teen Interest, TV and tagged AHS, Attleboro, Attleboro High School, House of Cards, Kevin Spacey, Netflix, Netflix House of Cards, Sarah Nordberg on January 28, 2015 by abeeahs. National gas prices have significantly fallen in the past three months. The price of a barrel of oil has fallen to an astonishing $50 from $95 dollars in 2013. The low gas prices allow more people to be on the road and more gas to be used. Gas, which costs a dollar less than the same time last year, allows money to be saved or used for other things. Spending a dollar less on every gallon saves the average person $15-$25 per week. Many gas stations in the nation are selling more gas due to the decreased prices. 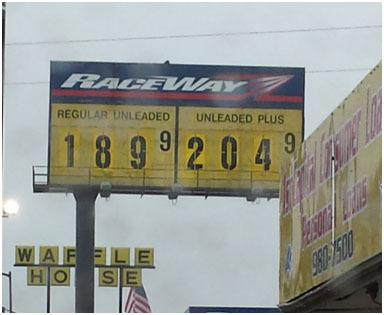 Selling more gas not only helps the gas station but also helps the nation’s economy. Every gallon of gas has a tax on it, which benefits the state. New York, currently, has the highest tax on gas at 69.6 cents per gallon. The low gas prices are a huge factor in people’s ability to travel more. Some people have to travel for work or other reasons, but the low gas prices now allow families to go on vacations or road trips more inexpensively. Turmel also said, “We should be fracking in the United States because it would help the economy and make gas prices even cheaper than they already are.” Fracking is when a high-pressure fluid (usually chemicals) is injected into a wellbore (a hole created to get oil) to create cracks in the deep-rock formations through which natural gas, petroleum, and brine will flow more freely, according to Wikipedia. This entry was posted in Driving, Teen Interest and tagged 2014-15, AHS, Attleboro, Attleboro High School, Gas prices, Nick Martini on January 27, 2015 by abeeahs. Not many students realize it but there is a lot of planning and work that goes into making high school yearbooks. Starting this year, Attleboro High School (AHS) has a yearbook club and a majority of the work on the yearbook is being done after school. “I like it because you get a sneak peak at the things that are going to be in it and it’s cool that the rest of the team and I get to create it; everyone is creative and really nice,” said junior Tyree Cooper. The Yearbook Club is broken up into five sections and each section has an assigned editor. Editors were chosen through interviews with the advisors who are Ms. Rebecca Richard and Mrs. Nancy Krieger. There were also positions as staff members that students could apply for. “I like it because it gives me the opportunity to put my input into something that will stay with me after I leave high school,” said AHS senior Kay-Dene Lewis. The yearbook positions are: editor-in-chief (junior Hunter Wain), senior section editor (Lewis and senior Erin Grimes), clubs editors (Cooper and junior Menappe Kinkoue-Poufong), sports editor (junior Olivia Kass and junior Nicole Savoie), underclassmen and faculty editor (Delenn Martin), and staff members. “The biggest challenge so far is probably collecting information from the seniors; the class size is so big that it’s hard to receive everyone’s information on time and then the senior section is faced with the challenge of organizing it all,” Grimes said. The editor-in-chief is responsible for the entire yearbook and running the meetings. He is responsible for all the editors and making sure that sections are being completed correctly, which includes everything from grammar to time management. “Yes, I find it cool to see how everyone on the yearbook team comes together to brainstorm creative ways that we could improve the yearbook,” Grimes said. The senior section editors are responsible for the pages that have senior portraits, their activities and quotes. They cover all the senior superlatives and figure out how to organize them. “What I love about this year is we have a great staff who are dedicated to get the task done; it’s been great,” said Richard. The club and sports editors are responsible for constructing and designing the pages that have all the clubs on it and all the sport pages and pictures that are going to be placed on that page. “I think that just the sheer amount that there is to do can be overwhelming at times; it’s figuring out where to start that’s the challenge for me,” said AHS junior Nicole Savoie. Underclassmen and faculty editors are responsible for the underclassmen pages and have to put together what the underclassmen section and faculty section is going to look like and how it will be set up. The Yearbook Club also met during the summer to have their ladder meeting where they constructed what needed to be on each page in the yearbook. The Yearbook Club meets on Mondays after school in LMC6 and anyone can join by attending a meeting. This entry was posted in Clubs, In & Around AHS, Teen Interest and tagged 2014-15, AHS, Attleboro, Attleboro High School, Attleboro yearbook, Hunter Wain, Tattletale, Yearbook, yearbook club on January 26, 2015 by abeeahs. A senior year in high school can be very stressful, especially when making decisions about the future, but it’s even more stressful as co-captain of the basketball team. Senior Tim Christensen has been focusing on his future like everyone else but he also has to focus on leading a team. Christensen has been playing basketball since he was five years old. “My brother and my dad both played and they got me into it,” he said. Since then he has loved playing basketball and football. Being named captain wasn’t based on luck; Christensen worked his way up through the ranks to be where he is. “I worked hard in the offseason to get better each year, because that’s where the team is built,” said Christensen. Christensen didn’t play on varsity during his freshman year like co-captain junior Kyle Murphy did. He started out on the freshman team and each year moved up. Being a leader of the basketball team comes with a responsibility according to Christensen. “You’re responsible for everyone’s actions on the team, not just your own.” Christensen understands that it’s more about the team than the individual, and has recently started coming off the bench for Murphy. With a record of 2-9, the AHS basketball team hasn’t played at the level they have wanted to, but Christensen believes they can turn it around. “We’ve been struggling at the beginning, but we’ve been working some stuff out at practice and we’re getting better every day,” he said. Although the team has been struggling, Christensen believes there are some positive things that shouldn’t go unnoticed. He said his senior teammates Josh Ribeiro and Ricky Gutierrez have really stood out this season with great individual games. Another positive for AHS to take away from the season is the many underclassmen gaining experience. AHS currently has three sophmores playing in the team’s varsity rotation: Jake Dunkley, Lucas Boucicaut, and Andrew Millikan. Christensen believes the team will be theirs one day, but they are really helping varsity out right now by taking key roles. Christensen hopes to play football in college. He has been accepted into Framingham State University, but has not yet made a decision. 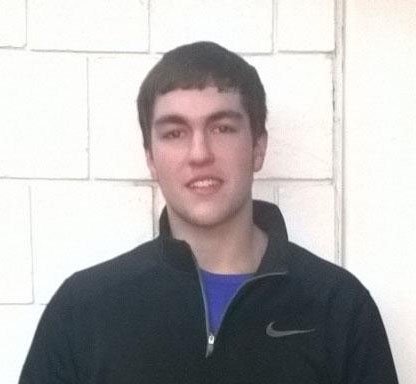 This entry was posted in AHS Sports, In & Around AHS, Personal Stories, Sports and tagged 2014-15, AHS, AHS sports, Attleboro, Attleboro High School, Basketball, Jonathan Kermah, Senior year, Tim Christensen on January 23, 2015 by abeeahs. Every girl wants to look nice, but is it okay to just be comfortable, and if so, is there a limit? Girls like to look cute, but sometimes sweatpants are just the way to go. However, is it okay to wear them all the time? AHS sophomore Brooklyn Palermo said, “Tight yoga pants, a pullover sweater, and Uggs are a comfortable school outfit.” Both Palermo and Schwensfeir agree that being comfortable beats dressing up. While many girls feel this way, sometimes they just want to put a little extra effort into their outfits. AHS junior Aurea Sousa said, “Jeans are better!” Boots, a sweater, skinny jeans and a scarf is an outfit that is stylish and definitely popular. Just look at the female students in the hallways. 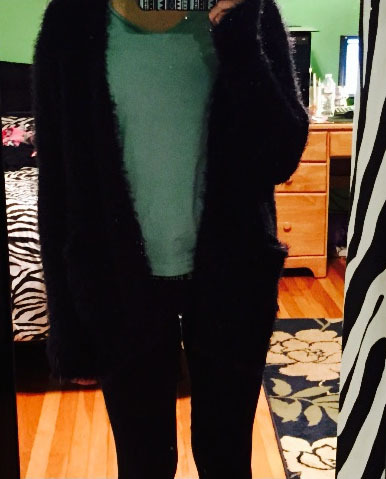 This entry was posted in Home, In & Around AHS, Opinion, Teen Interest and tagged 2014-15, AHS, Allison McAndrews, Attleboro High School, fashion, Pinterest on January 23, 2015 by abeeahs. Did you make a New Year’s resolution? Before choosing one, ask yourself, what one really means? There is a fine line between a New Year’s resolution and just a goal in general. People make goals every day, but a resolution is more of a goal to fix something long term. 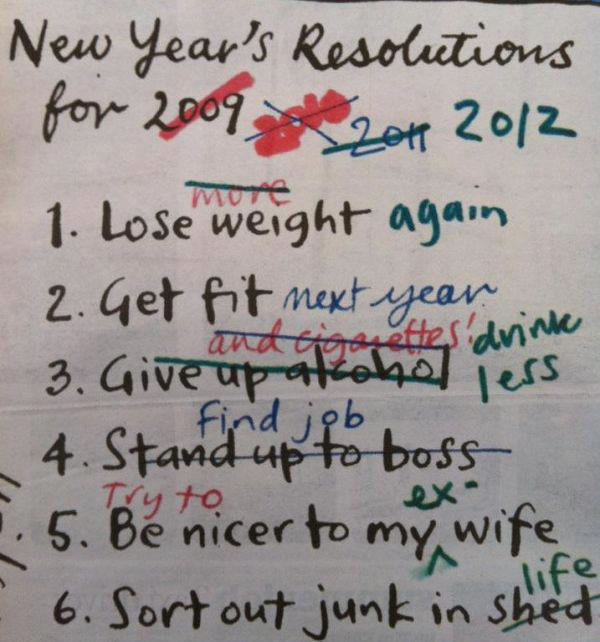 Resolutions can be similar although age groups can be diverse. Adults who are smokers might want to quit smoking, a mom or dad might want to be better at just that, or a teenager who doesn’t do well in school might want to turn that around. A common theme for every age group is to be healthy or to improve body fitness. 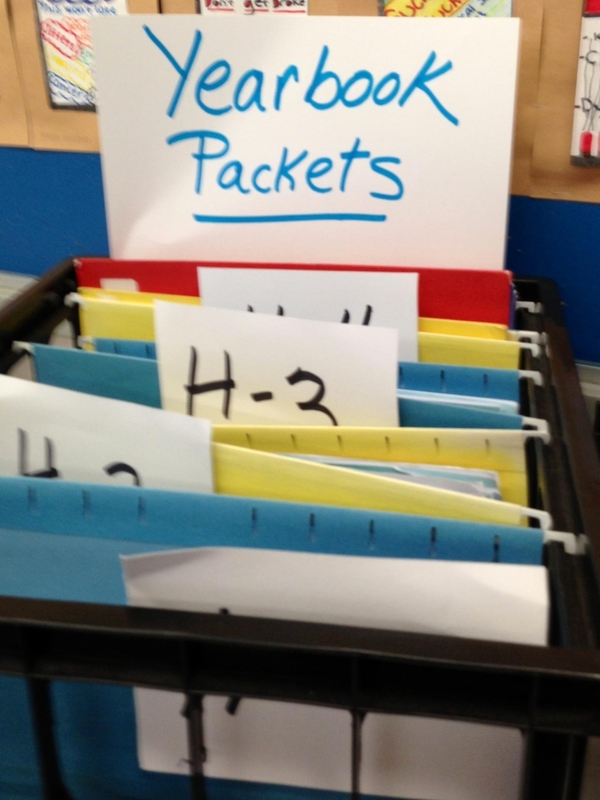 At Attleboro High School (AHS), being in shape and grades are the most popular based on a quick survey of thirty students and educators. “This Trimester, I want to improve all my grades and improve my maximum bench press,” said junior football player Jake Hardy, who is preparing for his senior year of football. Players who had the exact same goals were juniors Brendan Nunes (wide receiver) and Jacob Blackwell (offensive tackle). Teachers also made goals. English teacher Mr. James Clarke said, “I would like to spend more time with family and friends.” Senior Student Council President Ross Killion said something that was identical, so it’s fair to say that the desire to spend more time with loved ones doesn’t depend on age. History teacher Mr. Kevin Papargiris said, “I have about twelve resolutions, but my main one to focus on is using positivity as a tool to teach, to help my students learn faster, easier, and make it fun too.” Positivity is all about sending good vibes and a smiling while doing anything. Junior Bridgette Campbell’s goal is to stop eating so much chocolate. Like others, this is a resolution to improve her health. No matter the resolution, goals to improve mentally, physically, emotionally, or in some other way are relevant. This entry was posted in In & Around AHS, Teen Interest and tagged 2014-15, AHS, Attleboro, Attleboro High School, New Year, new year new me, New Year's Resolution, resolutions, Sam Iampietro on January 23, 2015 by abeeahs. As students transfer from high school to a higher education and career, they may not realize the changing safety features available in the vehicles they drive. New safety regulations put side curtain airbags, as well as frontal airbags, into new model year cars as a standard feature. By making standardized safety a priority, vehicle manufacturers eliminated unsafe mishaps with vehicle safety systems. Safety crash course testing is now run with computer programs as well as diagnostic mechanic knowledge. This change allows technicians to identify possible safety issues before the car is put on the market for consumers. Other standard auto safety options include: antilock brake systems (providing quick braking reaction to the driver), anti-slip all wheel drive (eliminating loss of traction in most weather conditions), independent tie rod suspension (providing smoother riding and vehicle control to the driver/occupants), and rear view cameras (provides a clear rear vision while backing up – supplementary to mirrors). AHS senior and newly licensed driver Emmanuel Gardner was recently stuck in his driveway because his transmission was locked. “The gear shift wouldn’t slide back, and in reverse the car was shaky. It is frustrating that I didn’t know what caused the lock up, and AAA Roadside Services were more of a pain in the neck than I had expected for such a minor issue,” he said. Gardner, who drives an older model car, is pained by issues that newer models avoid by vehicle safety standardization. Insurance coverage for individuals depends on their driving record, their age, and the type of vehicle driven. Insurance payments for AHS senior and auto student Jon Sellars, who recently fell off his Suzuki GSX-R1000 motorcycle, differ greatly from that of Kaczowka. However, both feel their insurance is suitable for their personal comfort, safety and accident coverage needs. “My insurance payment doubled after the accident, but it is still worth the investment,” Sellars said. However, the premium for Mr. Kaczowka’s insurance is so low he doesn’t even remember the payment amount. 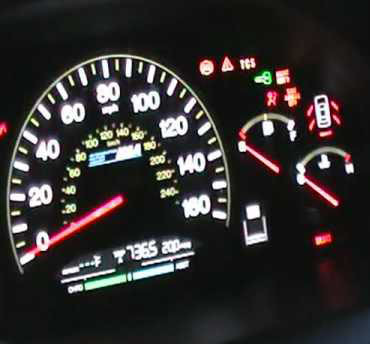 It is critical that drivers pay more attention to the vehicle’s dashboard display and the driving environment, and less on little distractions in their direct vicinity. If the accident happens to be caused by some other variable and not just the driver, the safety systems in the vehicle should be fully functional to effectively protect its occupants. As multiple safety systems are powered electronically and less mechanically, it enables vehicles to be lighter, which puts more emphasis on styling and the operator controls in various elements of driving. One drawback of electronic safety systems is they can be disrupted more easily than mechanical connections. A wire and circuitry are far more pliable than metal tie rods and greased gears, making repairs for today’s safety systems far more expensive, and less timely. While ASE Certified Technicians service the vehicles consumers drive, it is up to the constant ingenuity of engineers and crash course diagnostics to bring safety and dependability to varied vehicles. This entry was posted in Driving, Teen Interest and tagged 2014-15, AHS, Attleboro, Attleboro High School, auto safety, auto safety options, driving, Tyler Larkin on January 23, 2015 by abeeahs.